Reynoldstown’s H. Harper Station may have closed in April, much to the anguish of local cocktail enthusiasts, but owner Jerry Slater is staying busy hosting a pop-up series of mixology classes near Emory—and looking for his next restaurant location. For the next three weeks, Slater will offer instruction in the proper recipes, tools, and techniques to make some of summer’s most popular drinks, and relate the history behind some quintessential American whiskey cocktails. Classes are held Wednesdays and Saturdays at 6 p.m. in the space behind the General Muir at the Emory Pointe development on Clifton Road. Tickets are $40 and include three cocktails and snacks such as grilled crostini and deviled eggs. Slater said the first session this past Wednesday turned unexpectedly specific as several participants became very focused on learning the best way to stir a beaker of booze. 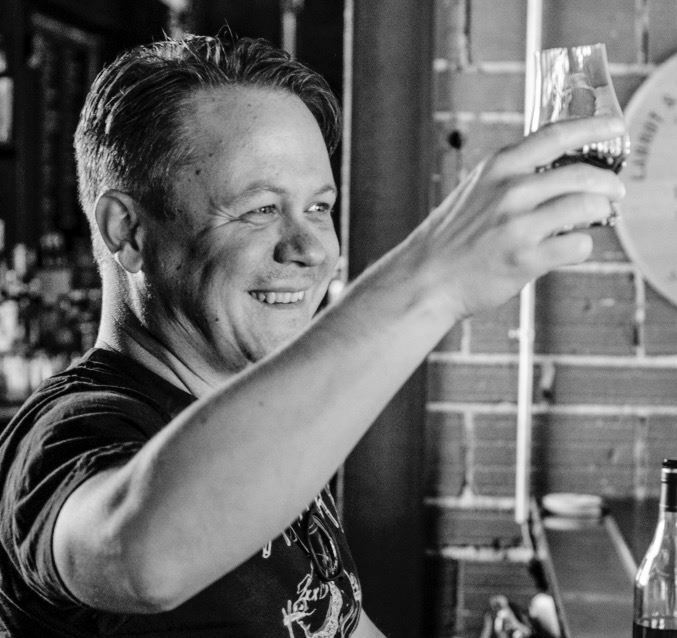 For the rest of June, Slater will be working to finish up his first book, The Southern Foodways Alliance Guide to Cocktails, coauthored with James Bread Award-winning writer Sara Camp Milam and featuring photography by Andrew Thomas Lee. Then he’ll be putting in a three-month consulting gig with his old outfit, One Flew South, to help prepare the company’s next airport restaurant, Chicken-N-Beer—a long-awaited collaboration with hometown rapper Ludacris—for a planned fall opening. But perhaps most exciting is the prospect of a new food and drink establishment from Slater and wife, Krista, a trained sommelier who was often seen mixing cocktails at H. Harper Station. The two had moved from Reynoldstown two years ago to a rural area about 45 minutes east of Atlanta. Their next restaurant will likely be “bistro-esque,” he said, an “intimate gathering space” that will offer a larger wine selection, along with more of an emphasis on cheese plates and salads. He’d like to open before the end of the year. Does that mean retirement for H. Harper Station’s celebrated burger? “For now,” Slater said. With a couple months of reflection after the end of his five-year run in Atlanta, Slater explains that the restaurant scene has become so competitive that only those with deep pockets stand a good shot at succeeding. Does that mean he’s ruling out a return to Atlanta? “We’re pretty happy out here in the country,” he said.